With over 10,000 tech events taking place in London each year, it’s not easy to choose the ones you can be satisfied with. The selection is growing ever larger, prices go up, many conferences turn into sales pitches, and the choice is getting much harder. On top of that, one event might be better than another in terms of networking, but fall behind when it comes to keynotes and speakers. A recommendation from a reliable source is perhaps the best help if you don’t want your money to go down the drain. Tech is an extensive term that covers a variety of topics aimed at different audiences. You can find niche conferences for individual industries such as FinTech, Healthtech, education, marketing, and so on or attend one targeted at the wider public. On top of that, events differ regarding their profile. Some are a great way to network, others to generate sales leads, and even others will let you learn about the latest trends in technology. Many factors determine the final shape of an event, and our perception is often subjective. Having that in mind, you should precisely define your expectations and specify the goals you want to achieve at a particular event. Thus, not only will you be able to choose the best option, but you will also verify after participation whether an event met your needs – because you will have actually defined your needs. Following generic recommendations might result in a big disappointment. Just because someone rated an event high, doesn’t mean you will get what you wanted to get from an event. 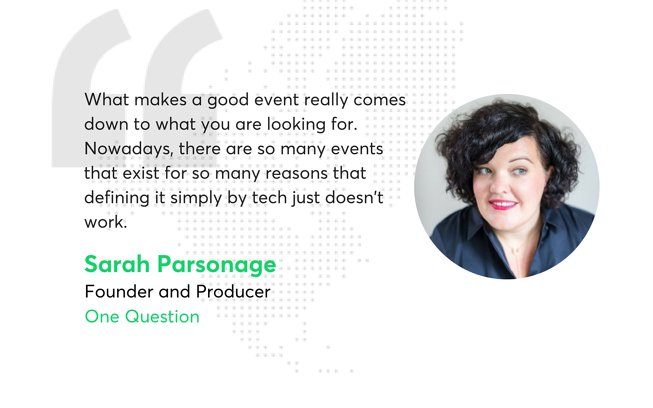 Sarah Parsonage, a Founder and Producer at One Question, who’s got a long-standing experience in event production and curation, admits that the idea of 'tech' is a blanket term. The list includes London events recommended by founders, managers, and directors who are active on the London tech scene. Events are sorted chronologically. Most of them are located in London, but there are also a few outside of the UK’s capital. The event attracts designers, developers, coders, managers, game developers, artists, film makers, sound designers, illustrators, and animators who seek inspiration and connection with like-minded people. Level39 is a tech community, based in Canary Wharf, supporting fast-growth tech companies by giving access to world-class customers, talent, and infrastructure. Beside running a top-notch co-working space, they host and organise many events on a range of topics. 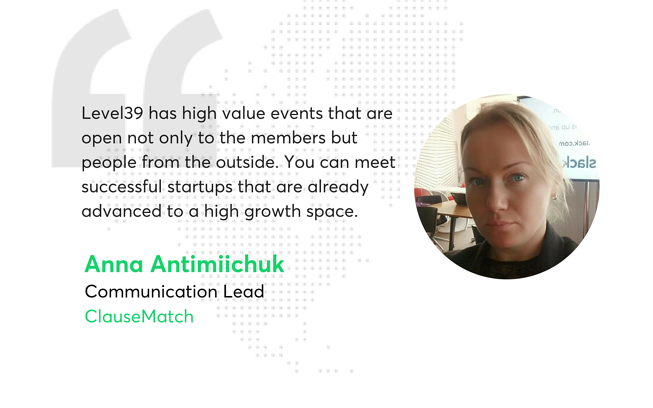 Anna Antimiichuk, a Communication Lead at ClauseMatch, a Regtech startup strongly recommends keeping track of L39 events. Sales Hacker is a one-day conference for sales practitioners who seek valuable knowledge on innovation and the latest trends in the field. Twenty people with vast experience will share lessons, and actionable tactics and strategies in all areas of sales: Sales Strategy & Leadership, Sales Development, Inside Sales, Sales Operations, and Sales Enablement. No chit-chat, just meaningful knowledge. Sales Hacker is also an excellent way to connect with the sales professionals, executives, and leaders that are responsible for billions in revenue, from hyper-growth startups to Fortune 500 companies and beyond. 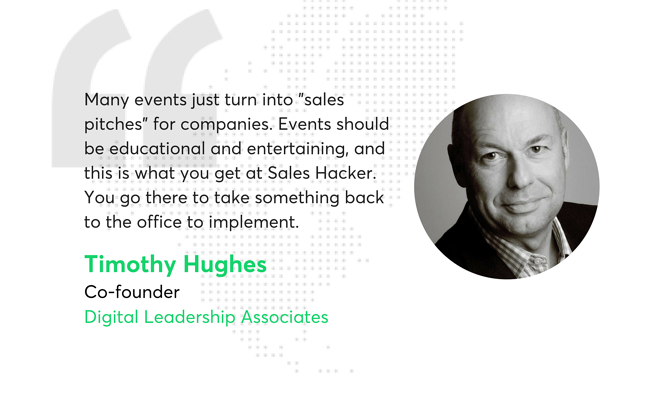 Timothy Hughes, a co-founder at Digital Leadership Associates, speaker and the author of a best seller book: "Social Selling – Influencing Buyers and Changemakers" spoke about the value of Sales Hacker. It is another event on our list located outside of London, but definitely worthwhile for Internet marketing specialists. BrightonSEO started out as a casual meeting of eager practitioners in a pub but transformed into a massive conference with 3,500 attendees year in, year out. Apart from talks delivered by world’s best search marketers, participants can sign up for practical, hands-on and in-depth Analytics, PPC, and SEO training to acquire and develop new skills. Sarah Parsonage a Founder and Producer at One Question, who has rated a great deal of events admits that it is one of the world’s best events for SEO practitioners. Digital Gaggle is an event that is way smaller, yet still worthwhile. Seven speakers from the digital marketing industry will share lots of actionable tips on how to improve the online visibility of your business. The talks are aimed at beginner to intermediate participant, so they are perfect for both in-house and agency marketers who want to develop their skills and find inspiration to perform their job more efficiently. 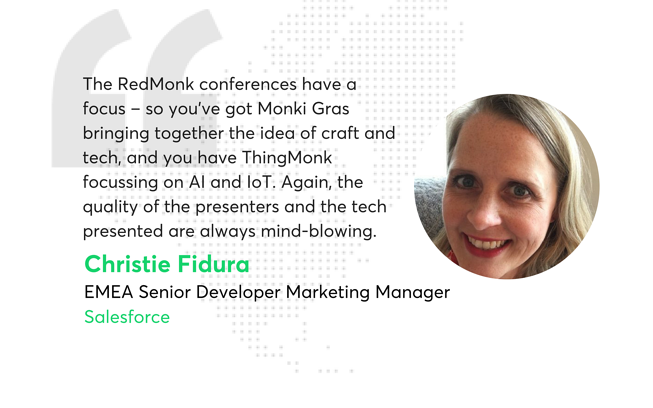 As it is more of a cosy event, you’ll get a chance to rub your shoulders with best experts in the field and network over a pint of free beer. Sarah Parsonage from One Question has also recommended us this conference. TechDay London is a massive startup event attracting around 10,000 founders, investors, industry leaders, press reps and people involved in London’s tech scene. It is one of a kind opportunity to showcase a brand and connect with the massive tech community. The event aims at supporting startup growth, exchanging ideas and sharing trends. Those who just want to browse and make connections can attend for free. If your startup is seeking funding opportunities and press attention you can exhibit for a reasonable price. “Exhibitors have raised billions of dollars in venture funding, at every imaginable stage”. 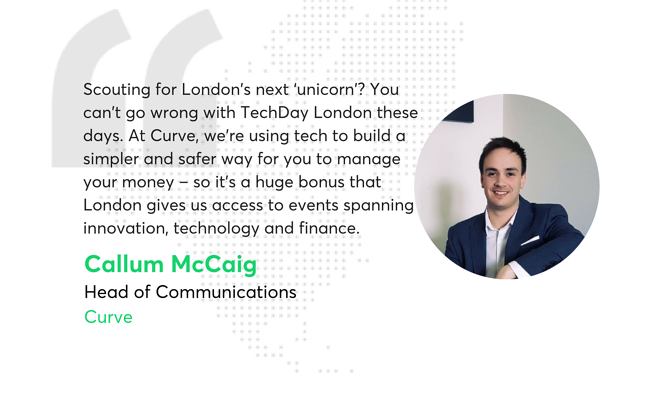 said Callum McCaig, Head of Communications at a ‘connected finance’ startup, Curve. London Food Tech Week is, as its organisers declare, the world's largest week-long “festival celebrating and connecting all the incredible people, companies and innovations in Food Tech”. The conference connects industry leaders, founders, and all other members of the community who want to learn about the technological trends transforming the food ecosystem. London Food Tech Week brings together experts from companies of all sizes so that they can exchange ideas, network, and help each other with their business. 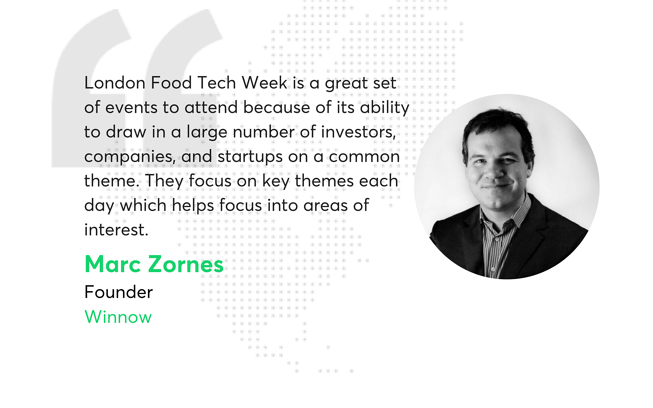 Marc Zornes who founded the foodtech startup, Winnow, to cut food waste in half and boost your kitchen’s profits confirms that London Food Tech Week is one of the leading events on how technology is transforming our food ecosystem. Noah is an exclusive, invite-only event where Internet CEOs, executives, and investors “gain deep insights into the latest proven concepts, network with senior executives, and establish new business relationships”. Over a hundred speakers from many companies will be discussing disruptive trends across industries to help better understand how they have successfully managed challenges and benefited from the opportunities they had. It is a sector-neutral conference, and executives and leaders from all industries can participate and join the debate on the hottest trends that are transforming the business landscape. 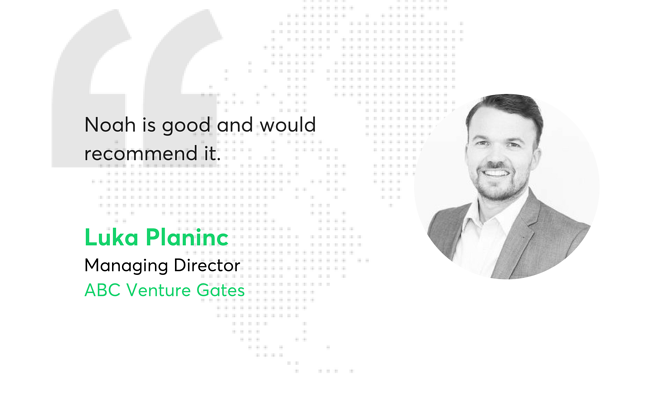 Luka Planinc, a Managing Director at ABC Venture Gates who’s been to Noah, recommends that you participate if you get the chance. Internet of Business is the series of events focused on various business-related issues. They are designed to support each market sector and help understand how technology is affecting their industry and jobs. The conferences that will be held in London include: Internet of Aviation, IoT Build, Internet of Banking and Payments, and IoT Connectivity. Each event offers a mixture of case studies and analysis tailored to specific markets and stripped of the technological jargon. 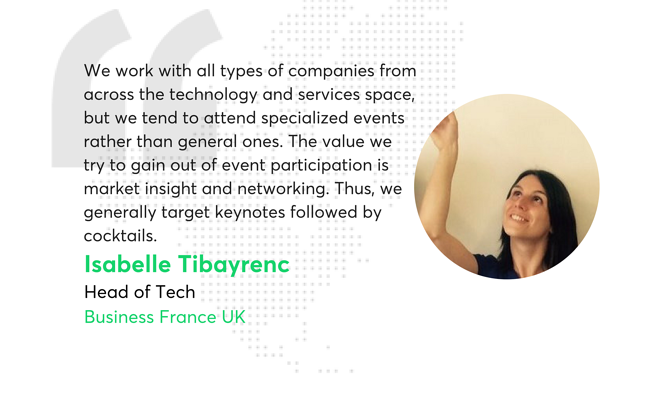 Isabelle Tibayrenc, Head of Tech at Business France UK, said that the Internet of Business events are very relevant. Fintech Connect Live connects startups, financial institutions, fintech unicorns, governmental agencies, investors, regulatory authorities, accelerators, incubators, and many more sectors. It provides the audience with business connections with prospective customers, partnership and investment opportunities, knowledge about the key technological trends that are affecting the market, and access to top-notch talent. The conference is divided into four streams: FinTech, PayTech, InsurTech, CloudFinance to give each subsector tailored benefits. Price: Conference pass £39-£59 for start-ups and £299-£399 for other companies; expo pass is free. The Bett Show is focused on how technology and innovation is shaping the education sector. Their mission is to bring together people, ideas, practices, and technologies so that educators and learners can live up to their true potential. This massive event offers exhibition opportunities for brands who want to present how participants can benefit from their solutions. The agenda, speakers, and other detailed information are yet to be announced. Isabelle Tibayrenc from Business France UK assures that The Bett Show is the leading event for education, so they run a French Pavilion there. RBTE is targeted at retail and hospitality organisations looking for the tools, solutions, innovations, and advice on how to best run a retail business. Isabelle Tibayrenc from Business France UK has also had a French Pavilion at the exhibition and confirms it was a meaningful event for their business. Both small companies and big players across all industries can benefit. It’s a good chance to see what new technologies pop up on the market and what vendors can do for retailers. RBTE provides many business opportunities. As top quality brands, global brands, and well-known first class names participate in it, chances are you can cut a handsome deal there. WIRED Money “brings together the innovators, inventors, and entrepreneurs defining the future of the finance industry”. It is a conference where you can meet practitioners, and leaders of the fast-moving, dynamic startups disrupting the business as we know today. Key themes usually include distributed ledger technology, personal financial management, RegTech, insurance, payments, the rise of algorithmic trading platforms, and the banking of the future. London Tech Week is a top-flight festival with 40,000+ attendees from 70+ countries and 300 live events across the city. It attracts domestic and international tech specialists, enthusiasts, and business leaders who want to get their hands on what’s best in tech, network, learn, and find business opportunities. says Callum McCaig from Curve. The programme includes conferences, showcases, forums, and round-the-clock networking. As it’s advertised on the event’s website, “B2B Marketing Ignite is recommended by Entrepreneur.com as one of the top 10 conferences to attend”. The conference is exclusively focused on needs, goals, and challenges of B2B marketers. Timothy Hughes assures that it is not one of those events that turn into "sales pitches" for companies. Instead, you get actionable tactics, strategies, and knowledge you can implement in your business straightaway. The event features experienced keynote speakers who battle-tested their solutions in real life. With over 1,000 attendees, B2B Marketing Ignite is an excellent way to network and exchange inspiring ideas. The event ends with the “infamous post-awards networking drinks”. The RANT Conference is an annual flagship event focused on information security with discussions, debates, and a variety of strategic and interactive presentations. Each year, the organisers invite the industry’s foremost thought leaders, evangelists, and entertaining speakers. 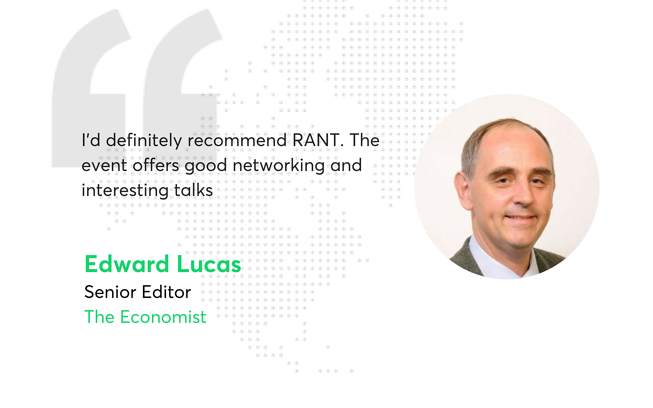 Edward Lucas, a Senior Editor at The Economist, told us that RANT offers interesting talks and good networking. The latter is probably what makes the conference so exceptional. The relaxed, informal atmosphere followed by plenty of beer, wine, good food, and entertainment creates an environment that encourages discussion on industry’s most relevant topics between like-minded individuals. As London is the world’s informal capital of Fintech, our list includes so many events focused on that industry and Fintech Week is yet another one. The event is a series of conferences, exhibitions, workshops, hackathons, meetups, and parties with approximately 5,000-6,000 people attending throughout a whole week. Just like most Fintech events, it aims to build links between established multi-nationals, innovation firms, disruptive start-ups, governments, media, and investors. Each day of London Fintech Week has a different theme focused on issues relevant to the industry. For Anna Antimiichuk and ClauseMatch, the event was particularly beneficial. AI & Analytics Europe Summit is a two-day event that brings together more than 350 C-level analytics, pricing, marketing, claims and underwriting executives. The conference focuses on Artificial Intelligence and how to put the emerging technology into practice in your business. The organisers promise that attendees will obtain first-hand knowledge on how to defeat data-silos and legacy systems challenges, embed actionable insights into core business areas and maximise data value, ultimately realising the promise of AI. TableCrowd offers probably the best networking experience you can get. It regularly hosts highly curated events in a more intimate environment, that is around one dinner table. Each dinner has a different theme and a speaker sharing insights on a different topic with a dozen or so participants. The host offers relevant, enjoyable, productive, social, and, most importantly, relaxed networking dinners that encourage meaningful conversations, promote sharing, and provide the right environment to build relationships. My colleagues from Netguru and I have participated in many dinners by TableCrowd, and I can assure that such events create an atmosphere where you can form partnerships, engage new clients, find talent for your team, and discover new business opportunities. Finally, the topics are very specific, so you can be sure that you will make quality connections. Check out the interview with TableCrowd founder, Kate Jackson. The list of London’s tech events we’ve created thanks to our contributors will be a handy guide for the upcoming 2017/2018 season. Share your feedback with us about the events you have participated in! The list isn’t set in stone, and if you feel we might have missed on something, send us your review! PS: A big shout-out and great thanks to all the lovely people that found the time to share their experiences!